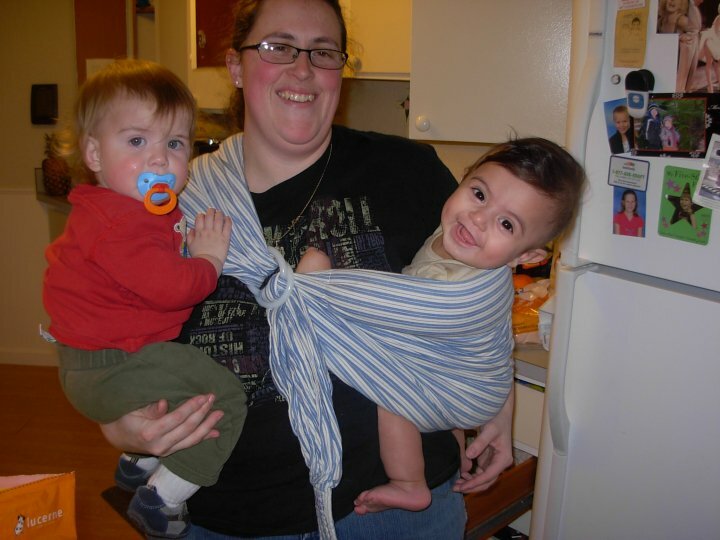 That baby boy in the striped sling is my nephew Samuel. How can you NOT love that smile??? Anyway, this picture is from April 2010...so here's he's not quite 1. This baby boy has a birthday today and he's going to be 2!! Wow! Time has flown! He's changed so much, well shoot he changes every time I see him! There are flashes of David when he was young/baby that totally takes me back and blows my mind...why I don't know. I have produced at least 2 children that are mini Frank's. I guess it's weird to see someone that reminds of when I was a child with my brother. Anyway, we won't be able to go to Samuel's birthday party. We are bummed but I hope he has a great birthday and I hope he knows how much his Auntie loves and misses him and when I see him next he better be ready for a whole lot of hugs and kisses!